Start taking classes at Laughing Lotus and other studios! 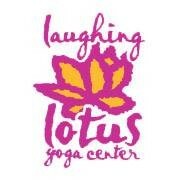 Laughing Lotus Yoga Center is an energetic and soulful yoga community dedicated to conscious living. SOUL SWEAT W/ LIVE DJ! Mantra MED: Chant & Be Happy! Mats are available for a $2 rental fee or feel free to bring your own! Please arrive 15 minutes early. If you arrive more than 5 minutes late to class you will not be allowed in! **Please note that the entrance to Laughing Lotus is on 19th street directly behind the CVS that sits on the corner. Wonderful!!! Victor’s Easter class is one of the highlights of my year ???? Always love this class. Wish all the instructors would come w oils for aromatherapy! It’s not always consistently done. Felipe's class is unique, challenging and uplifting,. I just love him! Awesome class with Spring - very creative flow, very therapeutic, and a great bonus with some inversion work at the wall towards the end of class. Instructor was really nice but her voice was rather distracting from the practice. Also, I felt that her flow was trying too hard to deconstruct and remix a traditional vinyasa class in a way that did not make much anatomical sense or adhere to proper / safe form. For example, she kept running through a cycle of transitioning from side angle pose to triangle pose really quickly with no time to shorten your stance as you should. Was suggesting ardha chandrasana in a transitional phase that wouldn’t align your feet properly, etc. Also she kept walking high speed through everyone’s mats which was distracting to the practice. She wasn’t even giving adjustments so I’m not sure why she kept walking through so frequently. I’ve been to Laughing Lotus before and enjoyed it.. but not this time.